Accidents happen. Delays occur. Baggage gets lost. The more you travel, the more you’re exposed to these kinds of risks. Conveniently, many of the travel credit cards you guys already carry offer protection against these kinds of risks. If you’re looking to open a new travel credit card, chances are travel protection benefits won’t be your number one criteria on which you’ll call judgement. But if you travel often and on expensive trips, then it should at least be a consideration. That is why I decided it would be more beneficial for our readers to be informed about the travel protection benefits of the most popular cards with big sign up bonuses and the highest reward earning potential, as opposed to cards ranked purely by the best travel protection benefits package. Not that those two things are not mutually exclusive. Unless otherwise noted, if you purchased the ticket of a family member on your card (either outright, or with Ultimate Rewards or a combination of cash + Ultimate Rewards), these benefits also apply to that person. If you have to cancel your trip due to illness, weather, or other qualifying circumstances, you can get up to $10,000 back to cover nonrefundable plane tickets, hotels, tours, etc. Do you have to have paid for the trip on your card to qualify? Yes, or paid for trip with the Ultimate Rewards. For accidental death or dismemberment, or a loss of speech, sight or hearing that occurs on your trip, compensation can be up to $1,000,000. You and any other authorized driver of the vehicle get primary coverage of up to $75,000 on theft and collision damage of rental cards in the United States as well as internationally. As it’s primary (and not secondary coverage), Chase covers all damage/theft up to $75k, not just expenses not covered by your personal car insurance. This is great because an accident won’t affect your personal insurance. Do you have to have paid for the trip on your card to qualify? Yes, and you must decline the rental company’s insurance. If your luggage is lost, you can get up to $3,000 back per passenger. Do you have to have paid for the trip on your card to qualify? Yes, or paid for trip with Ultimate Rewards. If you have to be evacuated for an emergency, you can get up to $100,000 in evacuation/transportation costs covered. Do you have to have paid for the trip on your card to qualify? Yes, or paid for trip with Ultimate Rewards. You also must have traveled on a common carrier at some point in the trip to qualify for reimbursement (airline, bus, cruise ship or train). If a trip on a common carrier (airline, bus, cruise ship or train) is delayed more than six hours, you can get up to $500 per ticket reimbursed for non-refunded expenses like hotel and food. Do you have to have paid for the trip on your card to qualify? Yes, or paid for trip with Ultimate Rewards. Also, the trip can’t be in your hometown nor longer than 365 days. For every day your baggage is delayed (must be delayed by a minimum of six hours), you can get up to $100 refunded to cover necessary items like clothing and toiletries. As for the Auto Rental Collision Damage Waiver, when you rent for business purpsoes the coverage is primary and you can reimbursed as much as the actual cash value of the car for most cars in the United States as well as internationally… this is significantly better than the other two cards above if you’re renting luxury vehicles for work! From the extreme travel accident insurance that can compensate you for serious injury between $500,000 and a $1,000,000, to the simple but appreciated luggage delay reimbursement that covers $100 a day in clothes and toiletries, the Sapphire Reserve, Preferred, and Ink Business Preferred offer excellent, comprehensive travel protection coverage. 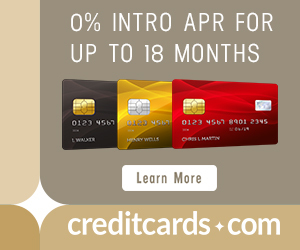 You can read about the rest of their benefits in our Top 10 Travel Credit Cards List. Sometimes cashing in on benefits, with all the receipts and forms required, isn’t as straightforward in practice. If anyone has any experience with any of the benefits listed in this post, please share them in comments. 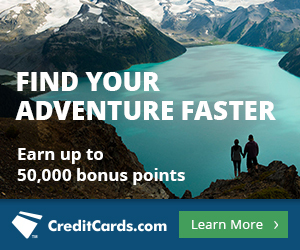 Check out The Best Credit Card to Buy Airfare to see–purely from the perspective of category bonuses–which cards are best for buying plane tickets, award tickets, etc. Chase Sapphire auto rental insurance was good for hail damage but found it it didn’t cover other car in a different claim. Will chase cover trip delays for award tickets where tax fees were paid on card? I’d like to know the answer to Randy’s question as well on award bookings. I know the Citi Prestige will provide insurance if you paid for the fees/taxes on an award booking, but does the Sapphire Reserve?